Za910. Corregidor Officer Beach with 3 Japanese built Suicide Boat Tunnels. Za910. Corregidor Officer Beach. 001., the former Fort Mills, a view from a boat. The Japanese built 3 Suicide Boat Tunnels at the west end of the beach. Za911. Corregidor Officer Beach. 004. 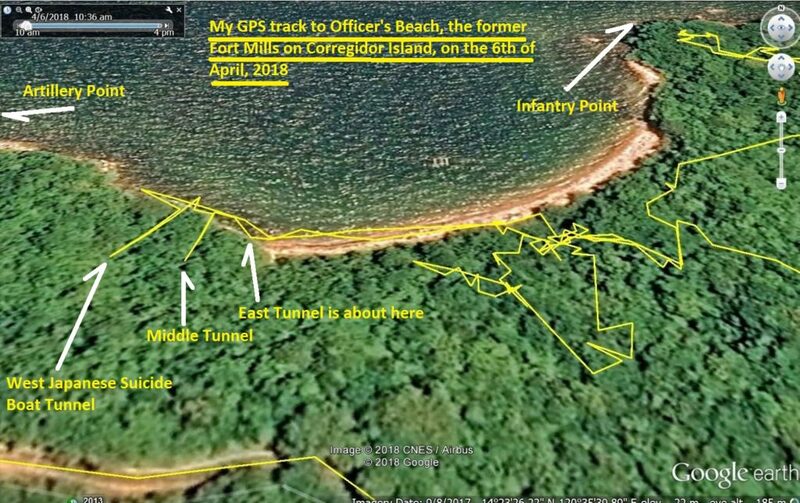 My GPS Track ot the Officers Beach and the Japanese Suicide Boat Tunnels on Corregidor, the former Fort Mills. 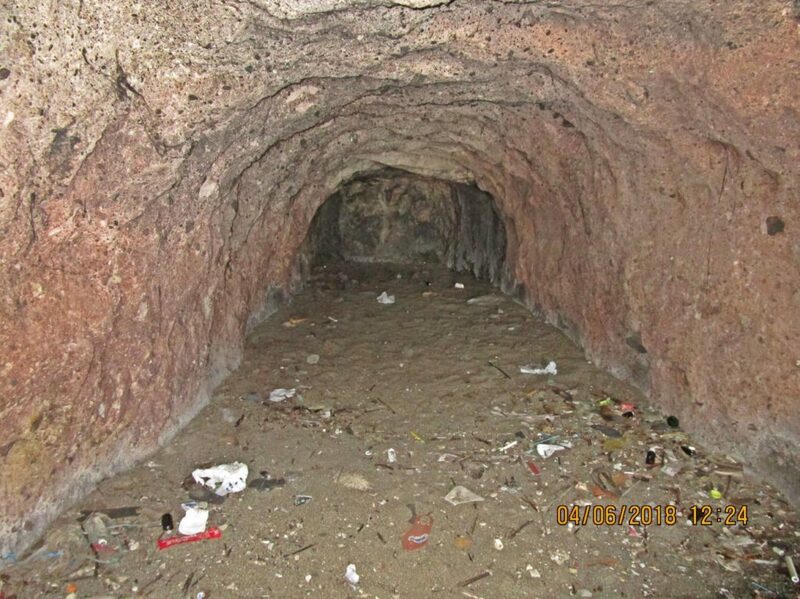 I walked into the west and middle tunnel; somehow my GPS device was able to track the walk into the tunnels. Za912. 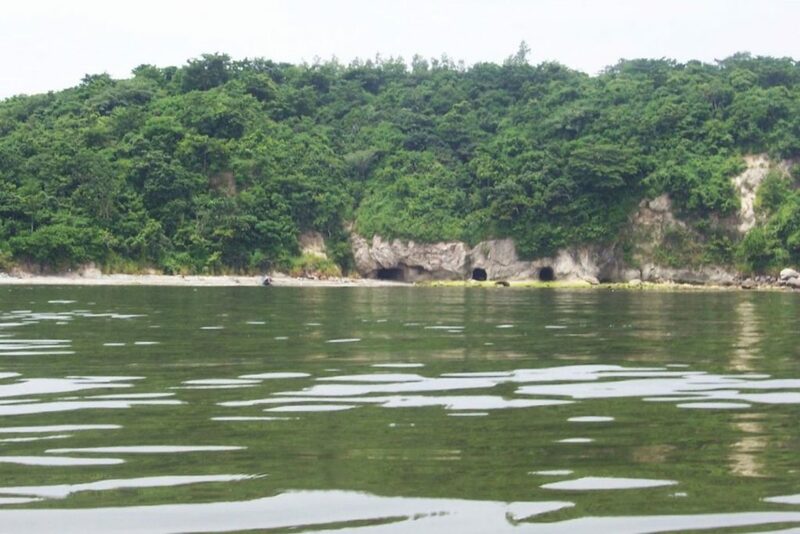 This is the Corregidor Officer Beach Japanese Suicide Boat East Tunnel, fishermen are resting here. Za912., east tunnel. 001. 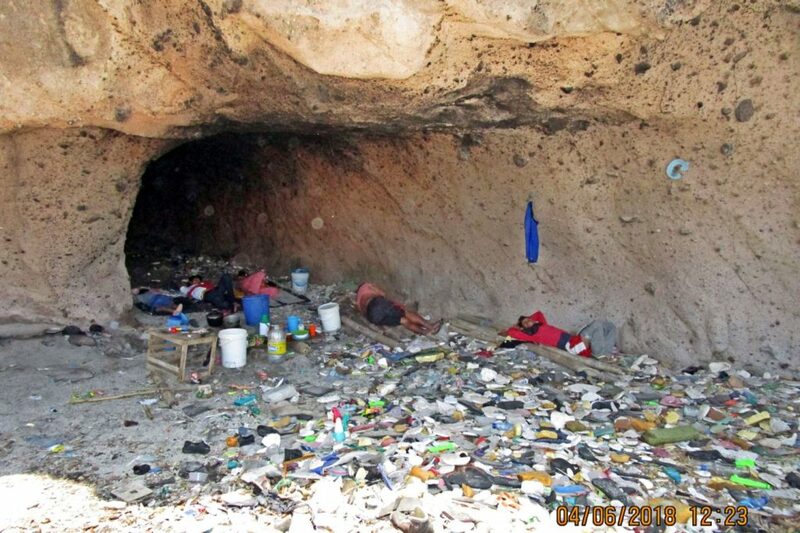 This is the Japanese Suicide Boat East Tunnel, fishermen are resting here. After setting their traps or nets fishermen often land on Corregidor and rest and safe gasoline. 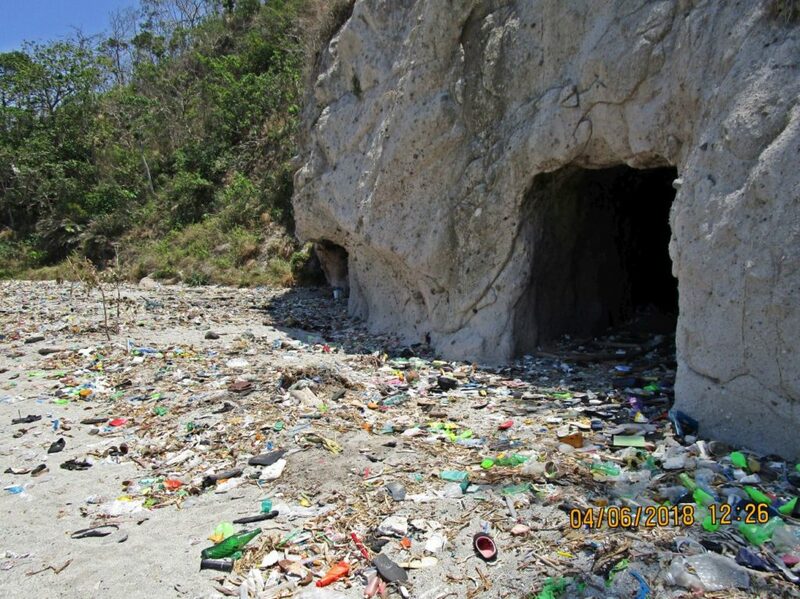 The sad truth is that the trash from the residents around Manila Bay has become a horrible problem. Za913. 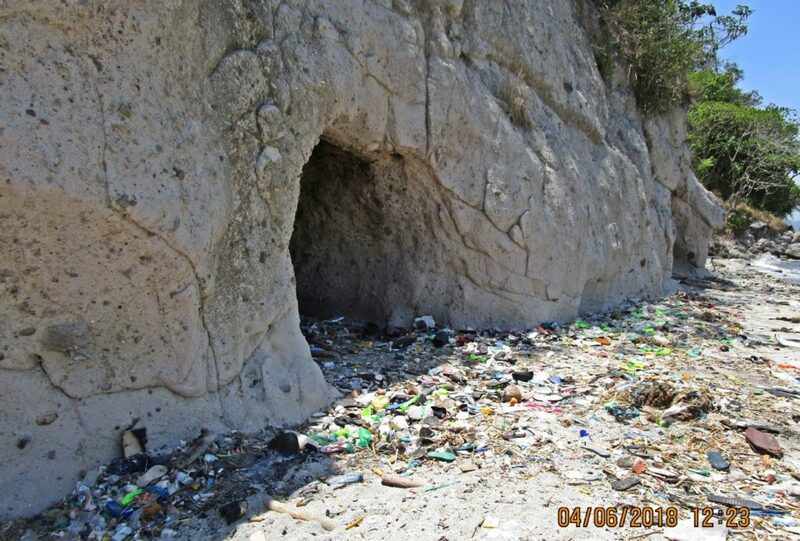 Corregidor Officer Beach, west tunnel. 001. 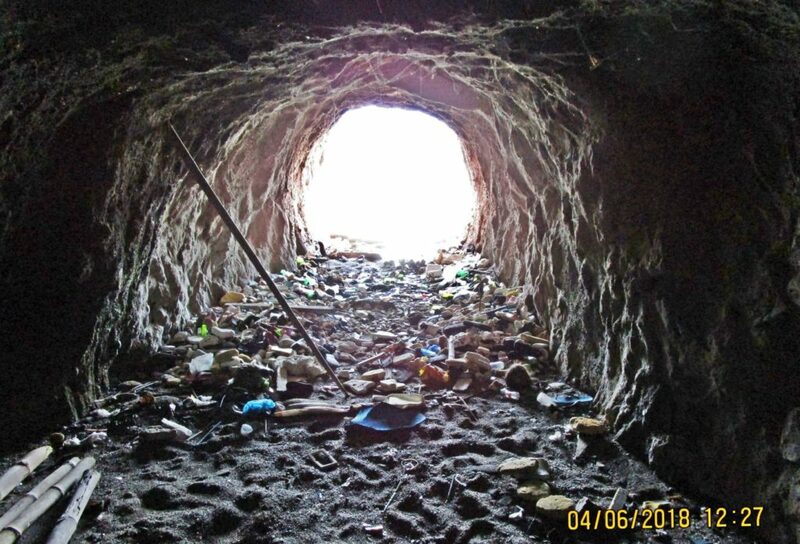 This is the entrance to the Japanese Suicide Boat West Tunnel; it is near Artillery Point on Corregidor Island, the former Fort Mills. Za914. Corregidor Officer Beach, west tunnel. 003. All three Japanese Suicide Boat tunnels are about the same length, height and width. Za915. Corregidor Officer Beach, west tunnel. 004. 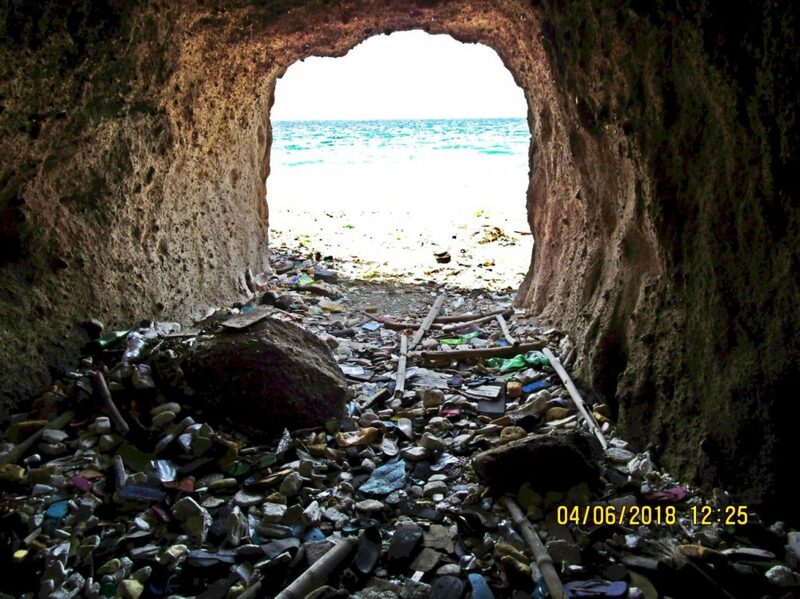 This is looking out of the Japanese Suicide Boat West Tunnel; it is near Artillery Point on Corregidor Island, the former Fort Mills. Za916. This is the entrance of the Japanese Suicide Boat Middle Tunnel; it is near Artillery Point on Corregidor Island, the former Fort Mills. Za917. This is a view of the Japanese Suicide Boat Middle Tunnel; it is near Artillery Point on Corregidor Island, the former Fort Mills. We are looking out! Za918. 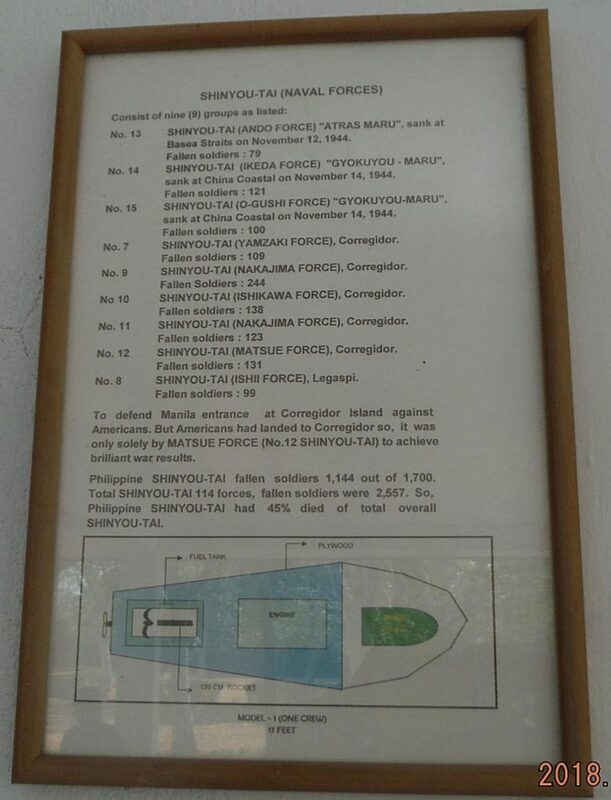 This is an information plaque/image of the Japanese Suicide Boat Units. Za918. 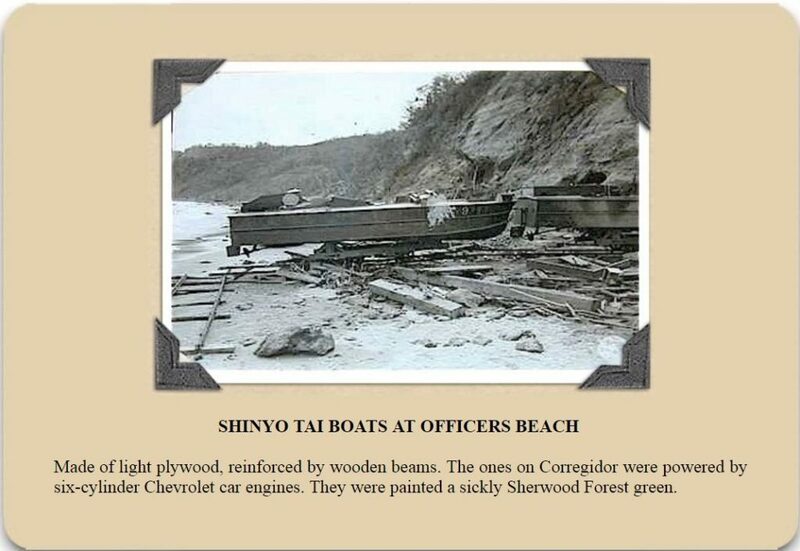 This is an information plaque/image of the Japanese Suicide Boat Units. It is displayed at the Japanese Garden of Peace on Corregidor Island, the former Fort Mills at the Tailend. On the bottom it has a graph of the suicide boat. Ta919. This is a Japanese Suicide Boat at Officer Beach on Corregidor Island, the ex Fort Mills, in 1945. This picture came from Corregidor.org. “SHIN-YO-TAI THAT DIED IN AN HONORABLE DEFEAT” ; click here! Most of the tunnels on Corregidor Island have been visited by me and I started a thread in the Corregidor Forum about the tunnels, click here!